Before I had this platform to voice at least some of my concerns on a monthly basis, my television screen was in daily jeopardy of getting a shoe thrown through it. If you are similarly frustrated about the direction of our country and do not have such an outlet, I feel your pain. That is the reason I take this opportunity so seriously. That is also the reason why I urge you to thoroughly educate yourself before you trash your own credibility. Case in point. Apparently, Arleen Ocasio, the director of the Houston National Cemetery, might be looking for a new job soon if Congressman Ted Poe (R-TX) gets his wish. She is alleged to have instructed Veterans of Foreign Wars District 4 to remove prayers from its burial rituals, to have censored a pastor’s prayer and to have instructed volunteers they are forbidden from writing “God Bless” in condolence cards sent to the families of veterans or from speaking such a religious message when talking with families while at the cemetery. My initial reaction may well have been the same as yours. I was hoppin’ mad and looking for a shoe. Is this yet one more daily taste of the transformation of America promised to us by President Obama? He appointed Ocasio. Let’s be candid. 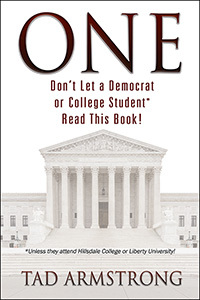 Many of you believe the near-Godless path of our society is the handiwork of the United States Supreme Court. Nothing could be further from the truth. Do the following quotes, never refuted, from two of their opinions surprise you? In public school, “any attempt to use rigid limits upon the mere mention of God or references to the Bible would be fraught with dangers.” Justice William J. Brennan, Jr., Abington School Dist. v. Schempp (1963). 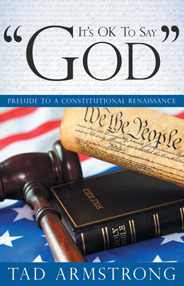 “The wall that separates the church from the state does not prohibit the government from acknowledging the religious beliefs and practices of the American people…The state may provide its schoolchildren and adult citizens with educational materials that explain the important role that our forebears’ faith in God played in their decisions to select America as a refuge from religious persecution, to declare their independence from the British Crown, and to conceive a new nation.” Justice John Paul Stevens, Van Orden v. Perry (2005). America’s culture has been corrupted alright and, although it didn’t happen overnight, I cannot believe the President’s omission of the “Creator” in three consecutive speeches when quoting the Declaration of Independence was an oversight. Nor can I accept NBC’s omission of the phrase “under God” from the Pledge of Allegiance as part of its coverage of the U.S. Open as a mere mistake. It is emphatically no mistake when corporate boards decide to replace the traditional “Merry Christmas” with “Happy Holidays” in their advertising. Dr. Avrahm Yarmolinsky, noted author and translator, in his Introduction to The Brothers Karamazov (written in 1880) described its Russian author, Fyodor Dostoevsky, as follows: “He abhorred socialism as a crass destructive doctrine which set the nourishment of man’s body above the well-being of his soul, and which would result in the establishment of a sane, safe, social order, orphaned of God.” At the heart of socialism is the replacement of God with government. I will stand on history. It doesn’t work. It is also un-American. I don’t question President Obama’s faith. But, the record is clear. Many of his appointees are avowed socialists. Draw your own conclusions. Too many questions remain unanswered for me to reach any conclusions about the Houston mess. If the Director is censoring ministers invited by families to preside over funerals, she is flat wrong and should be fired. If she is censoring ministers asked to preside over public events, that is another question dependent upon the details. And, a volunteer surely has the same right to utter “God bless you” that the President does when concluding a speech to the nation. I remain hoppin’ mad, not so much at individual players in the Houston fiasco, but at a people who have lost their American way. The judiciary hasn’t failed us. We have failed ourselves. Perhaps the best way to regain a lost culture is to live our faith “out loud” every day in the streets instead of complaining about it for one hour every Sunday at church. The Constitution protects our right to do so.